Today, Washington Republicans, nearly a year after capturing total control of both political branches, actually did something they had said they would do. They passed a huge, complicated tax package that no one has made a convincing case the nation needs, that is startlingly unpopular (“24 percent of Americans say that the Trump-backed tax plan is a good idea, versus 41 percent who believe it’s a bad idea“), and that the experts predict will significantly increase the national debt. 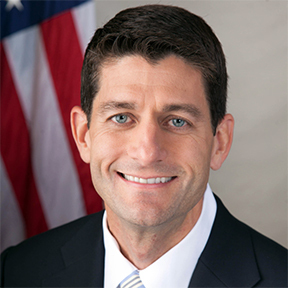 Paul Ryan can die happy now, his heart’s desire having been achieved. They say he’s been working toward this since 1993. Which tells you a lot about Paul Ryan. I am not excited, partly because it is about money. And I just find it hard to get interested in money, even my money, during those anomalous periods of my life when I have some. Needless to say, I have not tried to decipher any of those stories out there that would tell me how I would fare under this boondoggle. Just don’t tell me, OK? But perhaps some of y’all have passionate opinions on the subject, or even salient observations to make. This entry was posted in Republicans, Taxes, The Nation on December 20, 2017 by Brad Warthen. 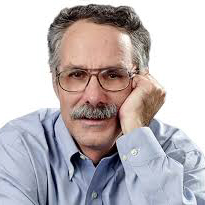 Robert J. Samuelson — whom I don’t read as often as I should because of his tendency to write about money and other things one can measure with numbers — is not a guy to read at all if you want him to tell you things you want to hear. Well, let me amend that: I think the things he has to say are fine, when I can cut through the numbers and read him. But based on voting patterns I’ve seen in recent years, he’s likely to give a lot of other folks apoplexy. He didn’t mean it in absolute terms, of course. There is no perfect amount of taxation, and saying “this isn’t enough taxation” in a vacuum would be as idiotic as say, also in a vacuum, that “Americans are taxed too much.” And Samuelson is not an idiot. No, he means that as long as America means to spend X amount — and there has been no credible effort to reduce the lion’s share of spending — it must have the common sense and maturity to pay X amount in taxes. And it’s been a very long time since we’ve done that. The truth is that we can’t afford any tax reduction. We need higher, not lower, taxes. What we should be debating is the nature of new taxes (my choice: a carbon tax), how quickly (or slowly) they should be introduced and how much prudent spending cuts could shrink the magnitude of tax increases. We resist the discipline of balancing the budget, which is inherently unpopular. It’s what Eugene Steuerle of the Urban Institute calls “take-away politics.” Some programs would be cut; some taxes would be raised. Americans like big government. They just don’t like paying for it…. Politically, the vaunted military-industrial complex has been no match for the welfare state’s personal handouts. There has been a historic transformation. In the 1950s and 1960s, defense spending often accounted for half of the federal budget and equaled 8 to 10 percent of gross domestic product (the economy). In 2016, defense spending was 3 percent of GDP and 15 percent of the federal budget, according to the Office of Management and Budget. Meanwhile, welfare programs — called “human resources” by the OMB — accounted for 15 percent of GDP and 73 percent of federal spending…. So, to summarize, we’re not taxing enough for the spending we’re doing, and we’re not spending enough to adequately perform what was originally the government’s chief responsibility. And before I get the cliche response — citing numbers showing how much more we spend than other nations is pretty pointless. We emerged from 1945 as the chief guarantor of a security order designed to stave off World War III. And the only nations that have shown any interest in taking that mantle of dominant military power off our hands have been the very last big countries a believer in liberal democracy would want to see do so. This entry was posted in Economics, Marketplace of ideas, Media, Military, Taxes, The Nation on December 11, 2017 by Brad Warthen. Back in the late ’80s, when The State had money for such things, my duties as governmental affairs editor included supervising the South Carolina Poll (at least, I think that’s what we called it — it’s been a long time). Cindi Scoppe was the reporter I had working on it, because she had studied polling at UNC-Chapel Hill and was keenly interested in the process. She also had the kind of incisive mind, even as a very young reporter, that meant for a very critical eye when we were drafting the questions (which is why I later brought her up to editorial). I think we did a pretty good job. I can’t confirm that with evidence on the issue questions, but Emerson’s polls were remarkably accurate on the kinds of things that can be confirmed — such as predicting election results. Anyway, stepping outside of what you think in order to pose a neutral question takes practice, I guess, and politicians don’t get much of that kind of practice. So it was that when Lindsey Graham tried to poll his constituents about the tax plan he and his GOP colleagues are determined to rush through Congress before anyone has a chance to stop them, I think he really tried to at least look like he was posing the question fairly. But he fell short. Way short. The United States Senate will begin debating tax reform tonight and I want to hear from you on this important issue facing our nation. President Trump supports tax reform and has pushed the Senate to pass this important piece of his agenda for America. In fact, he came to the Senate yesterday to push Senators to support this plan. His pitch was simple  hard working Americans should be allowed to keep more of what they earn. According to the nonpartisan Tax Foundation, in South Carolina the average family would be allowed to keep $2,391 more in their pocket. The legislation also will benefit business by creating more than 13,000 jobs in our state. Opponents of tax reform have said they believe it is unnecessary and the Senate should defeat it when it comes up for a vote. They have expressed concerns that tax reform could benefit the wealthy at the expense of the middle and lower income Americans. They have not offered an alternative proposal and feel our current tax system is working as intended. Regardless of whether you support or oppose tax reform, hearing from you allows me to better represent your interests in the United States Senate. I appreciate you taking this opportunity to make your voice heard before this important vote. It looks nice, and sounds nice if you read it aloud in a calm voice and don’t engage in critical thinking. Of course, I’m talking about where he tries to make the case against the legislation. But come on. What would be the first thing you would want to mention as an argument against it, assuming you were a fair-minded person. What’s the thing that even a person who thought this package of cuts was wonderful might have qualms about? Why, the deficit of course. That’s why Bob Corker has demanded, as the price of his support, a trigger that will automatically raise taxes if this “reform” increases the deficit the way it certainly will. But there’s no mention of that. So right away, this attempt at “fairness” fails. Then, of course, it gets worse: “They have not offered an alternative proposal and feel our current tax system is working as intended.” To which the average recipient on his mailing list responds, They haven’t even offered an alternative (you know, like Republicans on health care)? Then screw ’em! And in what universe is there an idiot big enough to believe “our current tax system is working”? Of course, I’m only analyzing the way he presents the “con” side. This entry was posted in Lindsey Graham, Public opinion, Taxes, The Nation, Words on November 30, 2017 by Brad Warthen. When I first met Micah Caskey last year, I was still toying with the idea of running for the House seat he was seeking. My interview with him put that out of my head, I was so impressed with him. I agreed with him on so many things, and was so impressed by the thoughtful way he approached every issue even when I didn’t agree, that it occurred to me that if I did run against him, I might be tempted to vote for him anyway. The statement he posted on Facebook regarding the roads bill just passed over the governor’s veto provides a sample of what I’m talking about. When I posted in passing about him and the bill yesterday, I had not yet seen this. I’m not sure if this is the same statement he made on the floor of the House yesterday, but whatever he said there also made an impression, judging by multiple Tweets from @cassielcope and @AveryGWilks, reporters for The State. As I said, an impression was made. The #1 issue in South Carolina is improving our state’s transportation infrastructure. Our roads are in terrible condition and we’ve got to fix them. I want to address my position on the roads. This is a rather long post, but I think it’s important that I share where I stand on the issue. I ran for office promising folks that I would call the balls and strikes as I saw them, even if it wasn’t politically popular. Well, ladies and gentlemen, it’s time to pay the piper. It’s time to raise our state’s gas tax. In the absence of Executive Branch leadership, the task of fixing roads has been taken up by the Legislative Branch. Unfortunately, crafting the law to fix the roads in the General Assembly as been incredibly contentious. There are a lot of cooks in the kitchen and everybody thinks his or her solution is best. When the House and the Senate don’t agree on versions of a bill, the parliamentary rules require there to be a “Conference Committee”, made up of 3 members from each body, to sit together and negotiate a compromise. If you think of each body’s initial bill as a compromise from within that respective body (you need a majority vote to get out of the body, after all), the Conference Committee’s version is a Compromise of Compromises. An ugly baby, to be sure. 2. There is reform in governance at DOT so that citizens can rightfully hold the Governor accountable for the performance of his agency. This bill has both. (1) All new revenue must go into the Infrastructure Maintenance Trust Fund for existing infrastructure improvement only. (2) The Governor directly appoints all of the DOT Commissioners, with approval by the entire General Assembly — not just the Senate — and can remove a Commissioner at-will, on his own. In truth, I think we need to eliminate the DOT Commission entirely and elevate the Secretary of Transportation to a Cabinet seat, but my view is a minority view in the 170-member General Assembly (we lost an amendment vote to do that in the House 33-84). Nevertheless, I think the Conference Committee version gives citizens the ability to hold the Governor accountable when the Commissioners he appoints stray from his priorities. South Carolina deserves action. If past Governors or General Assemblies had acted in the past, we wouldn’t be in this position. However, since we can’t go back in time, our choice is simplified. I don’t think raising taxes is a good answer, but I also see it as the only realistic answer for this problem. There’s no magic roads fairy coming to fix this. Waiting on the ‘perfect’ answer doesn’t work in the military, and it doesn’t work here. I will vote to adopt the Conference Committee Report, and if the Governor chooses to put his own career ahead of South Carolina’s best interest, I’ll vote to override his veto. Certainly don’t let me get in the way of your government-hating. I encourage you to be skeptical. I implore you to scrutinize SCDOT more than ever. I certainly will. Whether through the Legislative Audit Council, Inspectors General, or the Legislative Oversight Committee, I will be working to ensure SCDOT delivers a better investment return of tax dollars than they have in the past. I invite you to put your energy toward the same. From where we are today, a gas tax increase is the only responsible solution. I’m proud he’s my representative. We need a lot more like him. Keep up the good work, Micah! This entry was posted in 2018 Governor, Character, Government restructuring, Infrastructure, Leadership, Legislature, Republicans, South Carolina, Spending, Taxes, Transportation on May 11, 2017 by Brad Warthen. I wish to call to your attention this piece by Robert Samuelson of The Washington Post Writers Group. Let’s be clear: America is an undertaxed society. Our wants and needs from government — the two blur — exceed our willingness to be taxed. This has been true for decades, but it’s especially relevant now because the number of older Americans, who are the largest beneficiaries of federal spending, is rising rapidly. Unless we’re prepared to make sizable spending cuts (and there’s no evidence we are), we need higher taxes. To the extent that President Trump’s proposed “tax reform” obscures or worsens this inconvenient reality, it is a dangerous distraction. We cannot afford large tax cuts, which are pleasing to propose (“something for nothing”) but involve long-term risks that are not understood by the president or, to be fair, by economists. Piling up massive peacetime deficits is something we haven’t done before. We cannot know the full consequences…. Looks like Samuelson’s bucking to be named patron saint of the Grownup Party, noting matter-of-factly that not only are vegetables good for us, but we must eat them. By the way that line, “America is an undertaxed society,” goes double — no, triple, nay, 100 times — for South Carolina. I just thought I’d point that out for those still confused, especially the senators who think you can’t raise a tax that badly needs raising — the gas tax — without lowering some other taxes that has nothing to do with it. This entry was posted in Economics, Marketplace of ideas, Spending, Taxes on May 1, 2017 by Brad Warthen. Henry McMaster continues to disappoint those of us who had hoped for some leadership for a change over at the governor’s office. At least, we kept telling ourselves, he hadn’t threatened to veto the bill increasing the gas tax and reforming DOT, the way Nikki Haley would have done. Well, today he crossed that line. Promising to veto an increase to the state’s gas tax to repair the state’s roads, S.C. Gov. Henry McMaster wants lawmakers instead to borrow up to $1 billion to fix South Carolina’s crumbling roads. McMaster, governor since January, urged lawmakers to change a proposed $500 million borrowing plan, proposed by the House, to instead spend that money — and more — on roads. McMaster made his proposal in a letter Tuesday to House Speaker Jay Lucas, R-Darlington…. Governor McMaster’s proposal continues the pattern of placing the costs of road repair solely on the South Carolina taxpayer and not on out-of-state motorists who use and deteriorate our crumbling roads. Borrowing more money to fix South Carolina’s roads and bridges will not serve as a permanent solution to our infrastructure crisis. The House passed our roads bill with an overwhelming bipartisan and veto proof majority, which protects the South Carolina taxpayer by providing a sustainable funding stream that requires every motorist to pay their fair share. Not only is Henry throwing behind the runner — he’s throwing to first when the House has long ago crossed home plate — but the proposal would have been ridiculous even if it were still an open question in that body. We have a mechanism for the ongoing funding of roads — the gas tax. You want to fix roads and you don’t have enough money, you raise the gas tax. It’s not complicated, and there is no call for trying to reinvent the wheel as a way of avoiding the obvious, commonsense solution…. This entry was posted in Henry McMaster, Leadership, Legislature, Priorities, Public Safety, South Carolina, Taxes, Transportation on April 4, 2017 by Brad Warthen. If seems that Grover Norquist no longer runs the South Carolina House of Representatives. Jay Lucas does. And he’s doing a good job. Along with Rep. Gary Simrill and everybody who voted for his bill yesterday. We lack money for road repairs. We have a tax that is dedicated to paying for road needs. That tax is among the lowest in the country. It hadn’t been raised for 30 years. Of course, you don’t have to be an anti-government ideologue to have reservations about a tax increase. And in this instance, it would have been wrong to give DOT more money without reforming the governance of the agency. But this bill takes care of that, too. Is this a done deal? Nope, because it still has to get through the Senate, which unlike the House isn’t run by anybody. As a body, it has been as allergic to DOT reform as the House used to be to tax increases. And that’s not the whole story. There’s also Sen. Tom Davis, whom The State today described as “libertarian-leaning,” which made me smile. Tom leans toward libertarianism the way Donald Trump leans toward self-aggrandizement. But I want to praise Speaker Lucas and the House for getting us this far. This entry was posted in Government restructuring, Leadership, Legislature, Priorities, Public transportation, REform, Republicans, South Carolina, Spending, Taxes on March 2, 2017 by Brad Warthen. Folks, let’s pay for our roads ourselves, OK? A plan to raise S.C. gas taxes by roughly $60 a year was approved Tuesday by a panel of S.C. House members. The bill will be considered by the full S.C. House budget-writing panel on Thursday. The proposal is an effort to address the the $1 billion a year the Transportation Department has said it needs to repair and maintain the state’s existing road network…. And good for Speaker Jay Lucas and the other leaders who’ve gotten behind a bill to do the obvious: raise the gas tax to improve our roads. I haven’t written about this courageous and rational move because I hadn’t fully made up my mind what to say about it. It’s basically a laudable, long-overdue proposal that is nevertheless seriously flawed. This tax is our state’s mechanism for paying for roads. We need road repairs, and don’t have enough money. Our gas tax is one of the lowest in the country. It hasn’t been raised since 1987. So, you know, duh — raise it. Especially since we no longer have a governor who absurdly (and we’re talking Alice in Wonderland absurdity) threatened to veto a gas tax increase that wasn’t accompanied by a much larger decrease in other taxes, thereby more than erasing any benefit from raising the gas tax. But here’s the rub: It’s not paired with reform of the state Department of Transportation. And it needs to be. That agency needs to be more accountable before we give it more money. Bottom line, we need to raise the tax, and we need reform. I haven’t yet fully decided what I would do were I a lawmaker. But I do admire the courage of those who finally broke the ridiculous taboo in that committee vote today — while I hope against hope for some reform to get attached to it later in the process. But while I’m torn on that, I’m not on this: I’m not in favor of “solving” the problem by asking our new governor’s buddy Donald Trump to just give us $5 billion for infrastructure. To begin with, it’s not a solution. Since $4 billion of that would go to roads, that kicks the problem down the road four years, no more. Which, conveniently, would be after the date that Henry McMaster hopes to be elected to stay as governor. Given what we’ve seen from this Legislature over the last two decades and more, it is highly unlikely that it will be in the mood to raise the gas tax or any other tax four years from now. The fact that the House leadership is ready to do so now is something of a miracle — possibly resulting from giddiness over the departure of Nikki Haley — and unlikely to be duplicated. Then there’s the fact that the federal government exists to fund and address national needs and priorities. There is no proposal currently on the table (that I know of) that would provide this level of funding nationally, so why should South Carolina — a state that with its super-low gas tax has refused even to try to pay for its own roads — be singled out for such largess? And no, “Because the president owes our governor big-time” is not an ethical answer. It probably makes sense in the deal-oriented private world Donald Trump has always inhabited, but to say the very least, it’s not good government. My position on this is much the same as my reasoning against the state lottery way back when — public education is a basic function of the state, and if we want good schools, we should do what responsible grownups do: dig into our pockets and pay for them, not try to trick someone else into paying for them. Similarly, if we want safe and reliable roads, we shouldn’t rely on some deus ex machina — or worse, cronyism — to deliver us from the responsibility of paying for them. This entry was posted in Civic virtue, Henry McMaster, Legislature, Priorities, Spending, Taxes, Transportation on February 7, 2017 by Brad Warthen. Laurence Kotlikoff, Joseph Von Nessen and Doug Woodward. 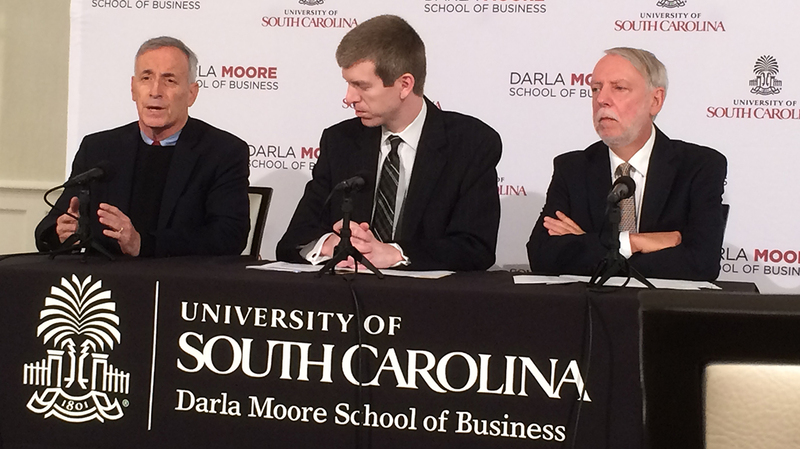 There was good news and bad news today at USC’s 36th Annual Economic Conference. To be more specific, there was mildly, moderately good news, and really Terrible, Horrible, No Good, Very Bad news. I’ll start with the good, which is on the local level. 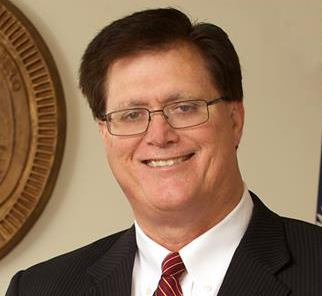 USC economists Doug Woodward and Joseph Von Nessen said that while growth has sort of leveled off in South Carolina, we’re in for a fairly good 2017. Advanced manufacturing remains strong, and things are going really well in construction — particularly along the coast — and retail. Merchants should have a good Christmas. If there’s a concern, it’s that employers are now having trouble finding qualified employees, particularly ones who are up to the challenges of automation — humans who can work with robots, basically. On the other hand, we’re basically doomed. That’s the message I got from the conference’s keynote speaker, Laurence Kotlikoff of Boston University, who started out noting that few Americans seem to have a clue what a fiscal hole we’re really in. Political leaders don’t speak of it, he said, pausing to complain about the “content-free election season” we just experienced. (Of course, you’d expect him to be dissatisfied with that, since he actually ran for president — unsuccessfully, he added dryly.) Oh, sure, they might speak of the $20 trillion national debt — which he noted isn’t really that, since the Fed has bought back $5 or 6 trillion of it — but they ignore the bigger problem. That’s the true Fiscal Gap, as he calls it, which includes the liabilities that have been kept off the books. You know, Social Security, Medicare and the like — liabilities that aren’t acknowledged in the federal budget, but which are obligations every bit as binding as if the future recipients held Treasury bonds. That adds up to $206 trillion. If we think in terms of what it would take for the nation to deal with that liability, our government is currently 53 percent underfinanced. That means that to meet these obligations, we’d have to have 53 percent across-the-board tax increases. If we don’t raise taxes by 53 percent now (or make drastic cuts to current and future spending that might somewhat reduce that need), then they’ll have to be raised a lot more on our children and grandchildren. What we confront is not just an economics problem. It’s a moral issue. Will we continue to hide most of the bills we are bequeathing our children? Or will we, at long last, systematically measure all the bills and set about reducing them? For now, we blithely sail on. But prospects aren’t good. None of the three economists, who spoke at a press conference before the event, had anything good to say about incoming political leadership on the national level. In fact, quite a bit of concern was expressed about 3 a.m. Tweets, any one of which could trigger a trade war with China before the day is out. 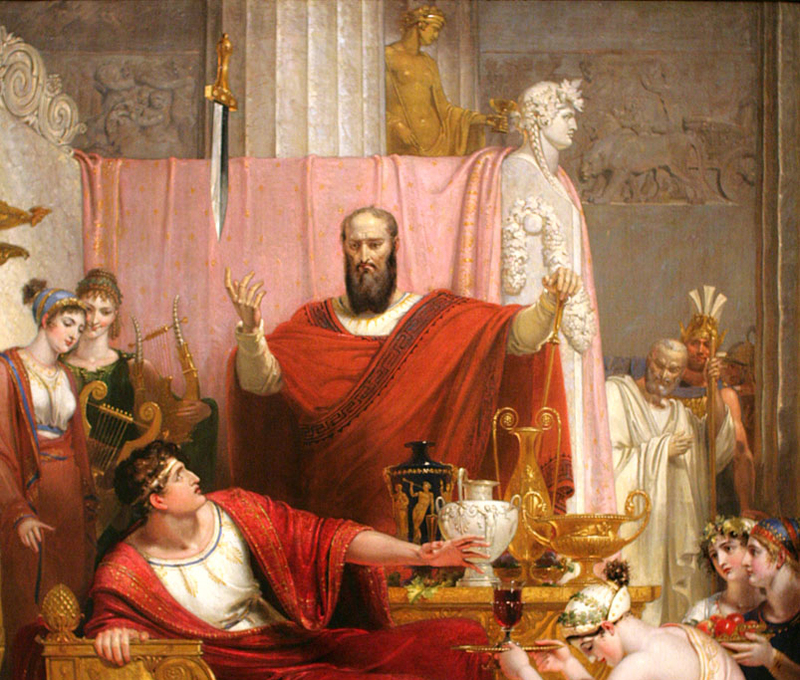 I came away feeling a bit like Damocles — or rather, like the nation is Damocles, since the sword fell on my head sometime back. And we just elected a guy who thinks he’s a national hero because he interfered with one business that was going to send some jobs out of the country (an interference in the market that none of the economists think was a good idea). I’m not holding my breath for any leadership on closing the Fiscal Gap. (Nor would I be had the Democrats swept the elections.) Are you? This entry was posted in Business, Economics, Higher education, Money, South Carolina, Spending, Taxes, The Nation on December 8, 2016 by Brad Warthen. Do you have questions about the penny tax? I know some of you do, to say the least. A question-and-answer session will follow. This entry was posted in Midlands, Money, Priorities, Spending, Taxes, Transportation on September 12, 2016 by Brad Warthen. Could we finally get comprehensive tax reform? 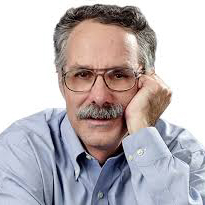 One of our perennial hobbyhorses on The State‘s editorial board over the years was our demand for comprehensive tax reform. Our point was this: Instead of making more and more piecemeal changes to tax policy, further distorting the tax burden in the state, how about if we act like we have some sense and do this: Figure out what it costs to do the things we agree state government should do, figure out how much it costs (that is to say, budget reform), and then come up with the fairest, least burdensome, most reliable ways to raise the money to pay for it. Instead, year after year, lawmakers came charging into Columbia, determined to give this or that tax break to this or that constituency group — whoever was yelling the loudest at a given moment (say, people who owned homes that were rapidly appreciating) — without any regard to the system overall. Increasingly, that led to such things as relying less and less upon such stable and rational revenue sources as real property, and more and more reliance on such volatile — and oppressive to the economy — sources as sales taxes. Years ago, I could have given you a list of specific things that needed addressing, but I’m not as up-to-date on the details today. Of course we should do away with the sales tax cap on cars. In fact, we should take all sales tax exemptions and throw them onto the table. Let the constituency for each have its say, but in the end, spread the pain around. You can’t make everybody happy. 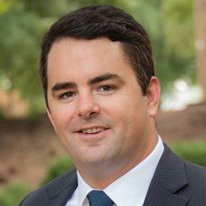 (Columbia, SC) – House Speaker Jay Lucas (District 65-Darlington) today appointed fourteen members of the SC House to serve on the House Tax Policy Review Committee. This ad hoc committee will be responsible for reviewing South Carolina’s current tax code and submitting suggestions for reform to the Speaker before the beginning of next legislative session. The group will hold its first meeting next Tuesday, August 30th, 2016, at 2 P.M. in room 516 of the Blatt Building. “Our outdated tax code needs a dramatic transformation in order to promote economic competitiveness and increase the size of our citizens’ paychecks. Achieving this difficult task is long overdue, but necessary to ensure our tax code is fair for our taxpayers. 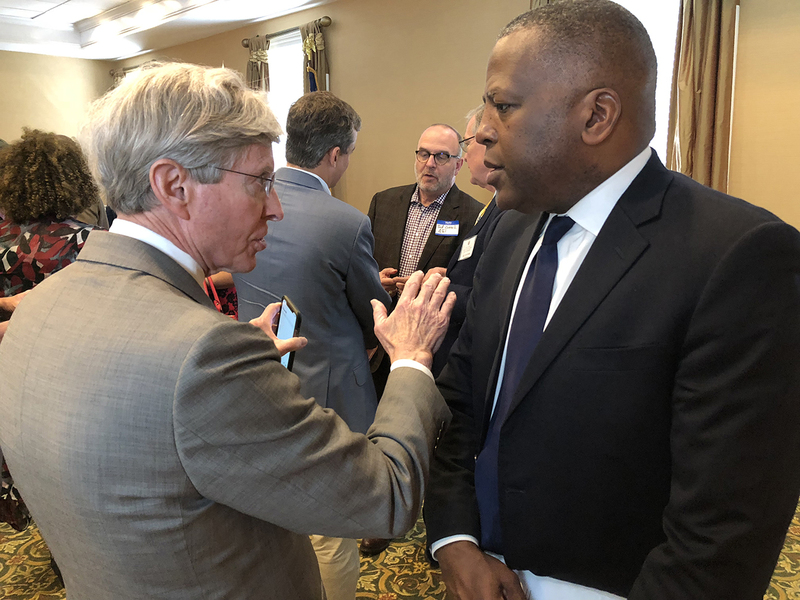 A broader and flatter tax code will help continue to spur job growth and provide greater opportunities for South Carolina families,” Speaker Jay Lucas stated. Speaker Lucas selected Speaker Pro-Tempore Tommy Pope (District 47-York) to serve as Chairman of the House Tax Policy Review Committee. 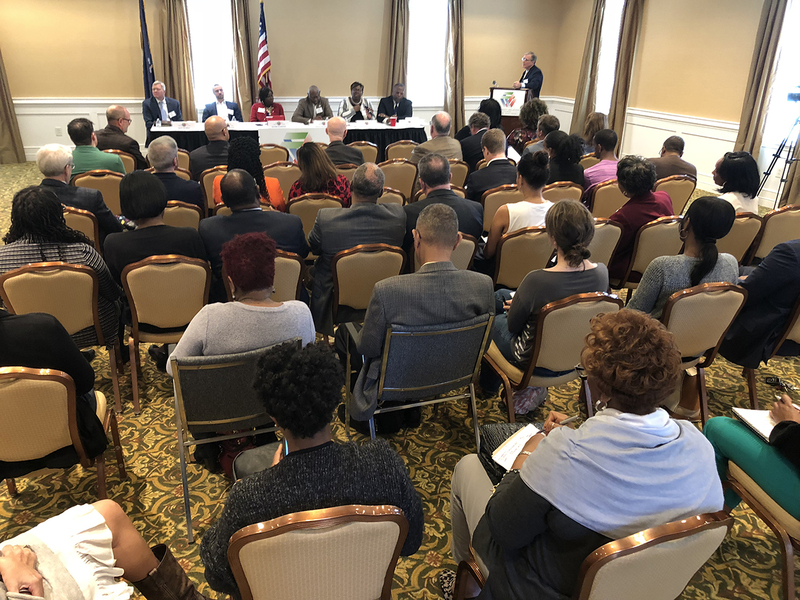 Additional members include: Rep. Todd Atwater (District 87-Lexington), Rep. Bill Bowers (District 122-Hampton), Rep. Mike Burns (District 17-Greenville), Rep. Joe Daning (District 92-Berkeley), Rep. Chandra Dillard (District 23-Greenville), Rep. MaryGail Douglas (District 41-Fairfield), Rep. Shannon Erickson (District 124-Beaufort), Rep. Joe Jefferson (District 102-Berkeley), Rep. Jay Jordan (District 63-Florence), Rep. Roger Kirby (District 61-Florence), Rep. Mandy Powers Norrell (District 44-Lancaster), Rep. Bill Taylor (District 86-Aiken), and Rep. Anne Thayer (District 9-Anderson). “Representative Tommy Pope and the bipartisan members of this ad hoc committee were individually selected because of their leadership abilities and knowledge of the tax system. I am confident that this diverse group will successfully begin laying the groundwork for significant tax reform,” Speaker Lucas concluded. This entry was posted in Leadership, Legislature, REform, South Carolina, Taxes on August 24, 2016 by Brad Warthen. Your thoughts about a TIF for Finlay Park? A multimillion-dollar renovation of Finlay Park and a pedestrian-friendly remodeling of parts of two major downtown streets might be within reach if local governments will agree to a controversial financing plan being floated by Columbia Mayor Steve Benjamin. Benjamin said last week that he’s working on a proposal to create a small taxing district that would capture property taxes on buildings along Assembly Street stretching north to Laurel Street, west to just behind the rundown park and south to Washington Street. The largest source of income would come from a proposed $60 million to $70 million, 15-story apartment building called The Edge that a Chicago-based company wants to construct near the Richland County library, Benjamin said…. This was the only picture of Finlay Park that I could find in my archives — it’s from a rehearsal of “Pride and Prejudice” in 2012. This entry was posted in Marketplace of ideas, Midlands, Priorities, Spending, Taxes on June 27, 2016 by Brad Warthen. The Penny tax program, with all its troubles, has realized that it had better start showing some results. Hence the above release I received via e-mail yesterday. This entry was posted in Midlands, Spending, Taxes, Transportation on June 10, 2016 by Brad Warthen. Penny Tax leads to… a sidewalk! So all you critics shut up, OK? A new sidewalk in the county has officially opened thanks to funding by the transportation penny sales tax. Richland County and the Richland Penny Program held a ribbon-cutting ceremony Friday, May 20 for the Windover Street Sidewalk Project. Yeah, it kinda does. Seem small, I mean. Yeah, I know, if you live on that road and have to get around in a wheelchair this is a great improvement for you. But if you’re one of the taxpayers wanting some answers on what benefit you’re getting… it’s not so great. This entry was posted in Midlands, Priorities, Spending, Taxes, Transportation on May 24, 2016 by Brad Warthen. What began as a welcome audit of the program has morphed into an effort to undermine one of the best hopes Richland County has of reaching its full economic potential while providing a consistent, quality transit and transportation network that enhances the quality of life for all citizens. I have not seen any evidence to support claims of illegal activity and corruption on the county’s part. Integrity is extremely important to me, and I take it personally when someone attacks my integrity. County Council has only followed the will of the people. We haven’t done anything different than what voters requested and approved…. The fact is that a solid foundation has been laid to deliver on the promise of a modern bus system and better roads, bikeways, sidewalks and other special projects that will improve transportation. The fact is that the COMET, crippled by a 45 percent reduction in service a few years ago, is now flourishing: It has restored lost service, introduced new routes, improved bus stops, adopted new technology to enhance riders’ experience, and more. Ridership has increased 150 percent. And our roads and sidewalks are being fixed. Already, 76 roads have been paved or resurfaced, and other dirt road paving and resurfacing projects are underway…. But go read the whole thing at thestate.com. An alert reader has pointed me to a tough rejoinder posted by Susan Quinn, a Facebook friend of mine (and, a quarter-century back, a student of mine that one semester that I taught a newswriting course at USC). While Mr. Livingston basks in the glow of a few dozen county road getting their potholes patched thanks to the Penny Transportation Tax, let’s recap some of the facts he evidently doesn’t wish to deal with. FACT 1: The Penny Tax Development Team LLC has never obtained the required city or county business licenses and could be required to repay fees and possibly fines. FACT 3: The Penny Tax Development Team LLC has submitted exorbitant monthly invoices for items such as cars, cell phones, computers, internet services, printer paper and gourmet coffee. They’ve even submitted invoices for pest control services! And those pest control services did nothing to control the pests robbing us taxpayers! These expenses totaled over $35,000 FOR ONE MONTH, according to information obtained under a Freedom of Information request. And these are just some of the expenses the county will actually admit to! FACT 4: Let’s not forget the $300,000 deals to people paid who had no training to do the work they were hired for, like the former City Councilman attorney who needed training on doing title searches and the former USC cheerleader turned real estate agent. 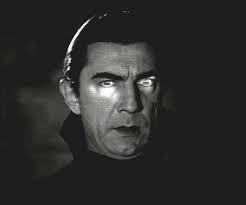 FACT 5: And let’s also recall the hundreds of thousands of dollars filtered to select individuals through the “Mentor-Protégé” program…a phony program that never even existed! These are just a few facts that have come to the surface in the cesspool that is Richland County government. There are bound to be more as our county leaders get away with their multi-million (billion?) dollar blatant fleecing of us tax payers. This entry was posted in Community, Marketplace of ideas, Midlands, Spending, Taxes on May 23, 2016 by Brad Warthen. WASHINGTON – U.S. Senator Lindsey Graham (R-South Carolina) was named a ‘Fiscal Hero’ by the Campaign to Fix the Debt for his work during the 114th Congress to improve the nation’s fiscal future and address the core drivers of the national debt. Honorees included 26 members of the House and 21 Senators from both parties, covering a range of political views. To be named a Fiscal Hero, lawmakers distinguished themselves by casting fiscally responsible votes; pushing their party leaders to make addressing the debt a priority; leading bipartisan policy efforts; and engaging and educating constituents. The nice thing about this organization is that, unlike too many other groups these days, it is transparent about who is behind it. Here’s the steering committee of Fix the Debt. Starting with Erskine Bowles and Alan Simpson themselves, the list includes such luminaries as Ed Rendell, Michael Bloomberg, Pete Domenici and Sam Nunn. I see a list like that and I think, I may not automatically agree with everything these guys come up with, but I’m certainly going to give it a respectful listen. But these are just the kinds of folks that the great populist mass is rising up against these days, isn’t it? This entry was posted in Lindsey Graham, Marketplace of ideas, Priorities, Spending, Taxes, The Nation on May 23, 2016 by Brad Warthen. I understand from various sources that the Senate today is debating, and plans to vote on, the “roads plan” that I excoriated last week. Here’s hoping it’s not going well. If the legislation skipped over Section 4, Gov. Nikki Haley would be correct to say it’s “exactly what we need.” We would have the reform we need, and the Legislature could devote some one-time money to roads again this year and adopt a long-term funding plan next year that befits the reformed Transportation Department. Unfortunately, it doesn’t skip Section 4, which commits not just this General Assembly but every General Assembly in perpetuity to siphoning $400 million out of our state’s general budget fund and giving it to the Transportation Department. The result is a bill that promises to break trust with the voters and strangle out other state obligations and, at bottom, isn’t worth the paper it’s written on. For as long as we have been paving roads, we have collected a gas tax and driver fees to build and maintain those roads, on the theory that people inside and outside of South Carolina who use our roads the most should pay the most for them. We have collected sales and income taxes to pay for our schools and courts and state police and child protection and economic development and environmental protection and most other state services. The Senate plan changes that, dramatically. It diverts $400 million in sales and income taxes — more than 5 percent of the state budget — to pay for roads. That means we have $400 million less — not just next year but every year going forward — to pay teacher salaries, including extra pay to reward and attract the best teachers for the neediest students, to pay cities and counties for holding elections and performing other duties the state requires them to perform, to hire caseworkers to protect vulnerable children from abusive parents, to employ the judges who lock up the bad guys and the prison guards who keep the bad guys from escaping and the scientists who test our water to make sure it’s safe to drink, and everything else. The roads diversion breaks trust with voters, in much the same way lawmakers do when they raid trust funds…. Make no mistake: A proper roads bill includes both proper reform and a gas tax increase. And it most assuredly does not include an open-ended raid on the funding for everything else the state of South Carolina does. This entry was posted in Government restructuring, Legislature, Priorities, South Carolina, Spending, Taxes, Transportation on March 9, 2016 by Brad Warthen. The “good” news is that they don’t cut income taxes — which, of course, was always an insane, utterly irrelevant condition imposed by the governor. This entry was posted in Legislature, Nikki Haley, Priorities, South Carolina, Spending, Taxes, Transportation on March 3, 2016 by Brad Warthen.